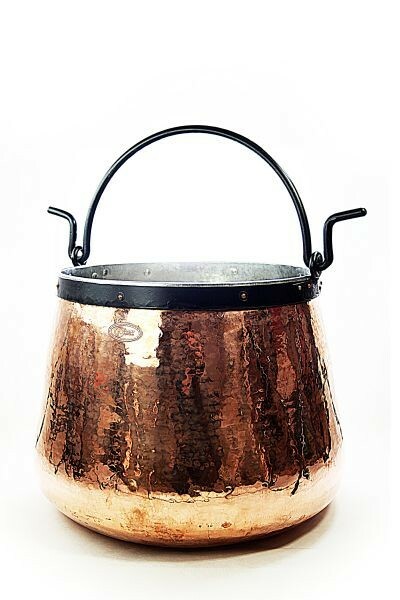 Extra large copper pot with smooth surface and wrought iron handle. 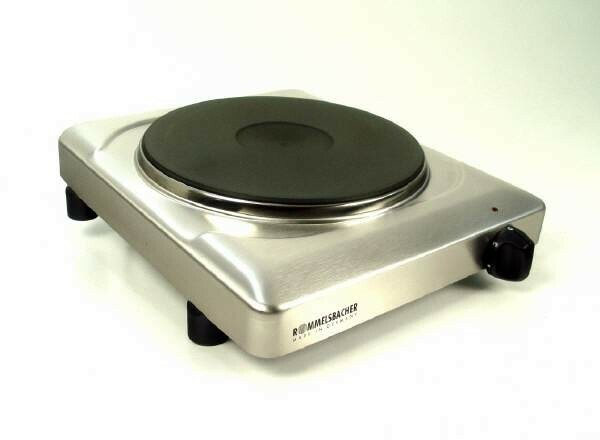 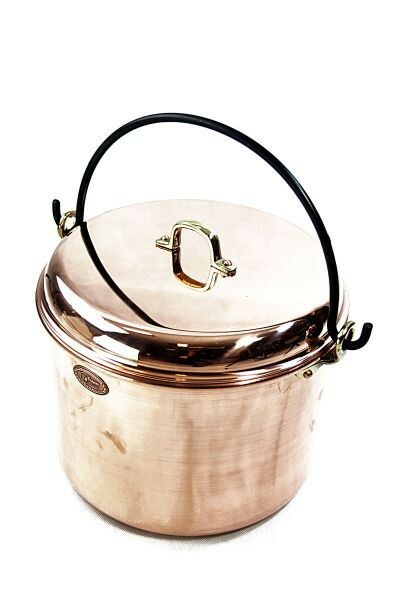 With 18 liter capacity, exactly the right pot for big families, parties or catering and restaurant use. 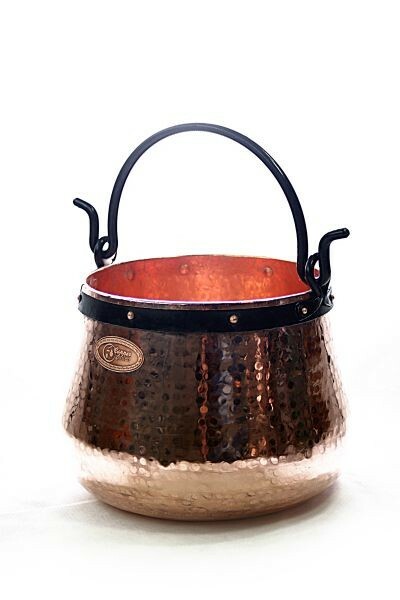 This universal “CopperGarden®“ copper pot with cover can even be used over an open fire, thanks to its wrought iron handle. 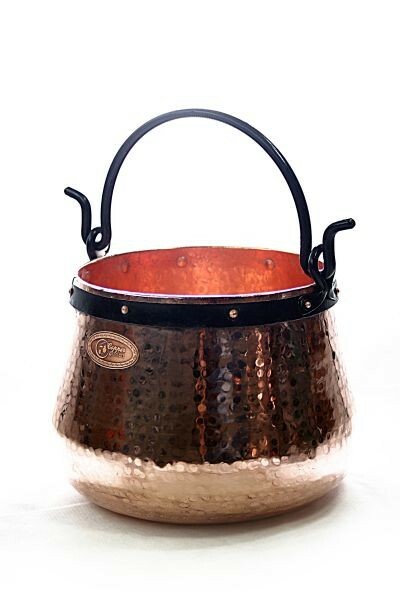 Of course, you can also hang it up and use it for decorative purposes - these pots are a real delight to the eye, especially when the copper color is allowed to mellow a little. 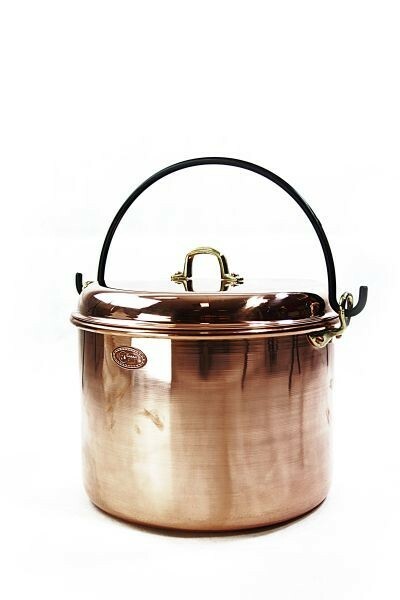 This copper pot is ideal for preparing stews, soups and traditional specialities. Italian polenta, octopus, fondue, risotto, couscous, jam, chocolate, marzipan, caramel, whipped egg whites, roasted almonds, all dishes made with milk, cheese, brandy punch, beer, mulled wine.